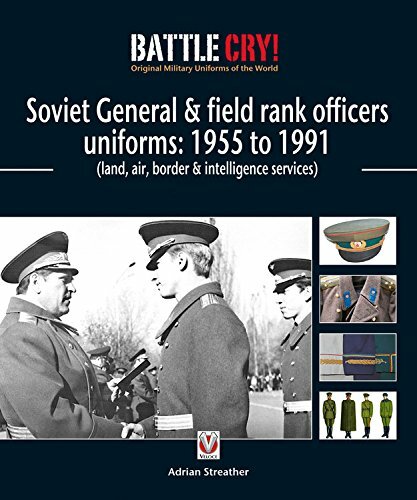 This book covers all uniforms issued and worn by the Marshal of the Soviet Union, Marshals, Generals and all field rank officers from 1955 to 1991. It features a well researched and illustrated history of each type of uniform, the period it was approved for and how it was made. However, this book is not just about describing and showing pictures of Soviet officers’ uniforms. It contains a comprehensive collector’s and buyer’s guide, designed primarily to help enthusiasts identify what they might wish to purchase. It provides anecdotes of the author’s purchasing experiences, including the various traps awaiting the inexperienced uniform collectors. Its contents will help any student of the Soviet military identify uniforms properly, and hopefully distinguish an original from a reproduction. Adrian Streather is a well-established professional author. Having directed his expertise at various auto marques, he decided it was time to create a small, handbook style buyers guide for anyone contemplating the purchase of a classic car. Adrian has managed to condense his expertise and vast reservoir of information into what – for him – are just a few pages. This book is just one tool in the purchasing process, but Adrian has been down this road many times himself, and his advice will prove invaluable to any potential buyer.